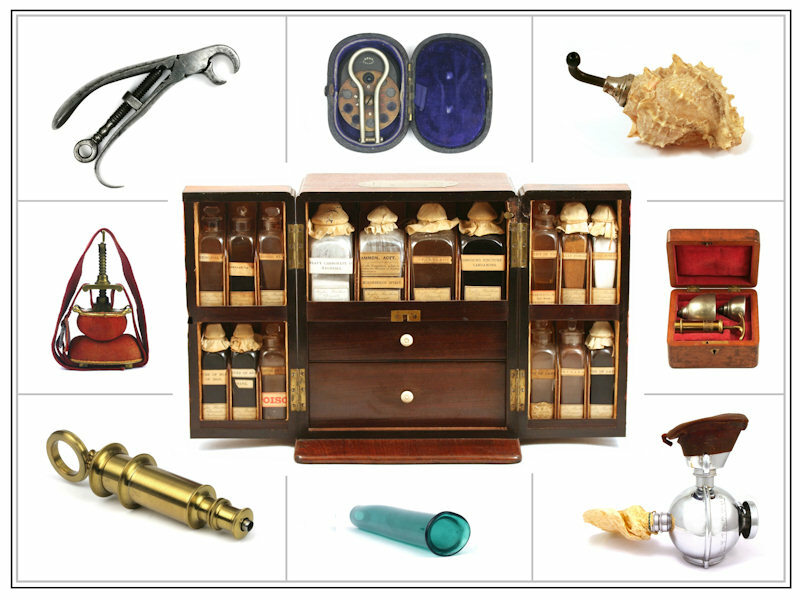 Collecting medical paraphernalia can be a lot of fun. Putting together a collection of objects which are beautiful to look at and which interest, educate and motivate are all very good reasons for collecting. But there are other reasons too. You can also broaden your cultural and educational horizons by exploring a host of diverse venues around the globe. From curiosity shops in Turin to museums in New York and from antique fairs in London to flea markets in Istanbul. Beyond this are the chance meetings and friendships which develop within a collecting fraternity of remarkable personalities who share the same passions. Networking and mutual sharing of information has the added bonus of generating more oportunities to find the things which interest you. Whilst it can be a relatively expensive hobby, the costs can be contained. Most serious collectors will trade or exchange in order to develop their collections. Manage your collection well and it can look after itself, but focus on business alone and you run the risk of missing out on the simple pleasures of collecting. What makes a piece collectable? How much is an antique worth?